Cosmetic purchases are as much emotional as they are rational. The initial impression left by the packaging can determine which formulation customers are drawn to in a store. Before ever encountering a formulation, a customer interacts with the packaging. From iconic packaging which remains unchanged for years, like the pink and green of Maybelline Great Lash, or cutting edge like AmorePacific’s squeezable tube mascara (now also seen with Dior). Packaging introduces a customer to a product and dictates how the customer can interact with a formulation. The choice of packaging also expresses a brand identity and ethos. While Chapstick is iconic in it’s simple utilitarian packaging and use to prevent chapped lips, luxury lipsticks are designed to evoke desire and often sexuality. When Christian Louboutin launched his beauty line, he based the design of the nail polish bottle on a stiletto he had designed for the English National Ballet. The unwearable shoe was perhaps the ultimate demonstration of his infamous quote from British Vogue “I don’t want to create painful shoes, but it is not my job to create something comfortable. I try to make high heels as comfortable as they can be, but my priority is design, beauty and sexiness.” This sentiment carried over to his lipstick packaging in which the pointed heavy metal case is by no means practical to carry in a purse but is undeniably striking. The company goes so far as to sell it with a ribbon attached so it could be displayed as a necklace. Innovation has led to an expansion of choice in packaging and can change the way that consumers interact with their products. Eyeliner is available in countless formulations and packaging options from pots with angle brushes to rollerwheel pens. The choice of applicator can be as important to a consumer as the formulation so that they can achieve the look they want consistently with their make up. Demand for innovation in packaging can also be driven by trends in formulation. As the free from preservative trend has gained traction, packaging which limits a formulations’ exposure to bacteria and air have become essential. Airless pumps also protect medical grade cosmetics from degrading over time. This behind the scenes use of packaging is invaluable to a formulator but often go unnoticed by consumers. Packaging effects many aspects of a consumer’s interaction with a product. Formulations are often the stated focus of a customer’s choice when buying a product, but without the right packaging can make a product can suffer. Packaging makes formulations shine and it can draw in consumers before they experience a product. 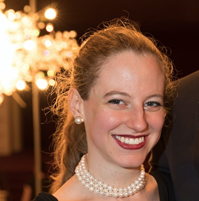 Dr. Elizabeth Kaufman works at BYK as a senior research chemist in charge of surface and defoamer additives. She defended her PhD in polymer chemistry from NYU in 2017. Her work in the Weck group focused on the synthesis and biological applications of dendrimers. In 2014 she was awarded the Kramer Fellowship.